While the venerable apple pie lays claim to being the most American of desserts, the blueberry pie must come a close second. Brought to this country by settlers from northern Europe and Scandinavia, blueberry pie remains popular due to its delicious flavor and the fact that it’s just about the easiest fruit pie to make (no pitting or peeling!). 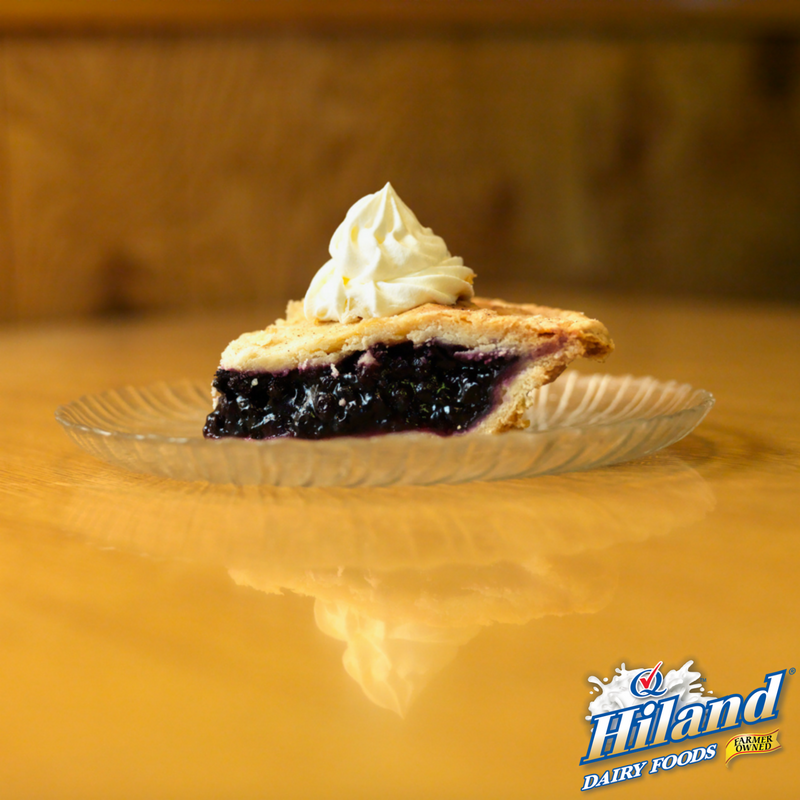 So, why not celebrate National Blueberry Pie Day by baking one of your very own? Here’s a simple recipe that your whole family will love. Make this dessert extra tasty by serving it with Hiland Dairy Vanilla Ice Cream. Preheat oven to 400º F. Sprinkle berries with lemon juice and set aside. Combine sugar, flour and salt and fold into berry mixture. Place pie crust in pie dish. Fill with berry mixture and dot evenly with butter cubes. Unfold remaining pastry and roll out onto lightly floured cutting board. Use a wooden rolling pin to remove any creases. Place pastry over pie dish and crimp edges to seal. Cut slits in the surface to let steam escape. Brush top of pie with the egg mixture and sprinkle with sugar. Bake for 35 minutes or until golden brown. Make whipped cream while pie is baking. Combine cream, sugar and vanilla extract and whip to soft peaks (cream will whip better if metal bowl and whisk/beaters are chilled prior to whipping). Serve each slice of pie with a dollop of whipped cream on top.